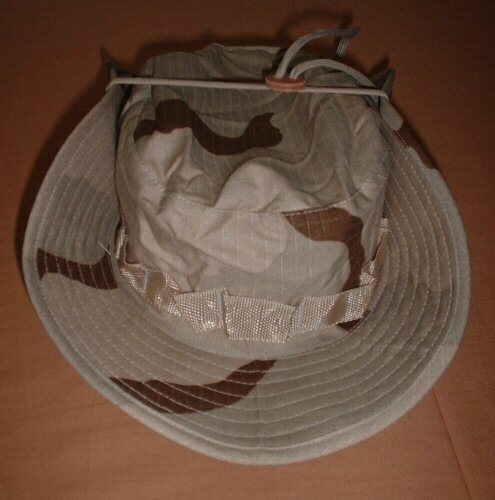 US-style boonie hat in US tricolour camouflage. This quality hardwearing hat is made of cotton ripstop material and features rivetted ventilation holes on both left and right sides. Brim is stiffened and the chinstrap is adjustable. 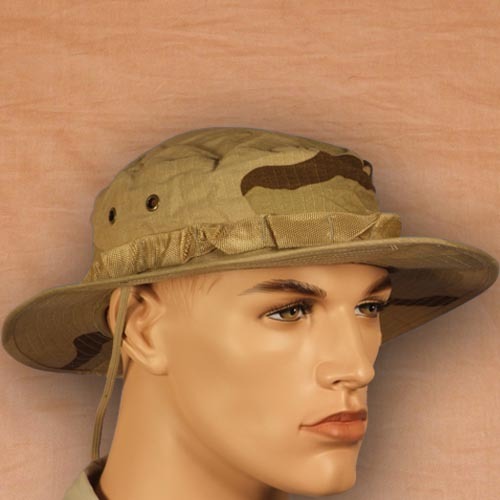 Nylon band around hat supports the addition of camouflage material. Sizes start from 56 and run to 64. Available options are: S , M , XL , XXL . View of the hat from the front with the sides of the brim rolled up. 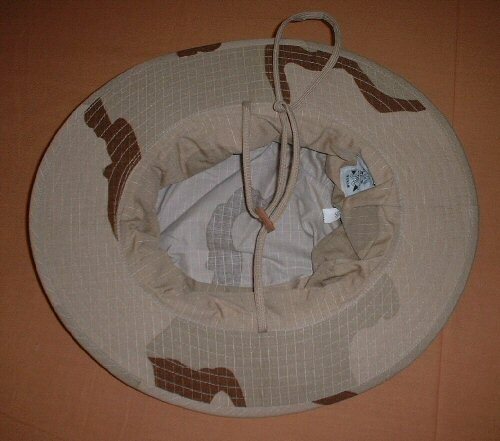 Viw of the interior of the hat.